Macroeconomic Research Director, State University – Higher School of Economics (since 2008); Board member, Aeroflot-Russian Airlines (since 2008). 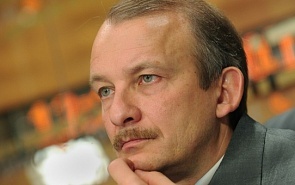 Previous positions: Worked at the Central Economics and Mathematics Institute of the Russian Academy of Sciences (1986-1989); at the Commission for Economic Reform of the Soviet Council of Ministers (the Abalkin Commission), helped develop the 500 Days Program on economic reform (1990-1991); Deputy Finance Minister of Russia (1993-1995); First Deputy Chairman of the Central Bank of Russia (1995-1998); Deputy General Director, then Executive Director of the Interros hold­ing company (2000-2004); President of Antanta Capital (2004-2006), Managing Director and later Head of the Russian branch of Merrill Lynch Investment Bank in Moscow (2006-2008); Honorary Professor of Jilin University, Changchun, China (1997). Author of the book The Fight for the Rouble (1999), and many publications in Russian and foreign scientific journals on taxation issues, privatization, and economic sociology. Since restrictions on food imports to Russia have been introduced by the Russian authorities, the best way to mitigate the effects of these sanctions is to cancel them. The government should spend money on building new highways in and between large cities, developing aviation infrastructure, rescuing forests around Moscow that are being destroyed by timber beetles (anyone flying to Moscow can see the horrifying large gray patches), and saving the Altai woods from a lichen onslaught. It is worth spending money on better equipment in education and healthcare, and making massive investments in our human capital in these sectors to enable teachers to use modern methods and doctors to make timely and correct diagnoses. The political and economic community and experts are well aware that Medvedev is, willingly or unwillingly, one of the top-ranking officials in Putin’s vertical of power. His political future depends more on Vladimir Putin and less on himself, and, of course, the most important factor is the political, economic and social atmosphere in Russia over the next five years. Russia’s current political structure leaves no room for any substantive parliamentary discussion. This new Expert Council will, at the very least, enable alternative viewpoints and proposals to be relayed to the prime minister, which should, at least to some extent, level out the flaws of the existing political system, which is crucial for the country’s future. The main problems of the budgetary policy are inherited from the previous 12 years of Putin’s rule. All those problems are well-known, and they have been debated by experts for many years while this budgetary address is not targeted on eliminating them. Davos 2012: What Will Happen to the Russian Economy? The most important effect on the Russian economy from the European crisis is the tightening of the credit conditions. Since summer last year it is much more difficult for the Russian corporate banking sector to borrow abroad, compared to say 12-18 months ago. As a result many Russian companies and banks have to repay old debts while not being able to borrow new ones. No Visible Results Of "Economic Modernization on the Medvedev Track"
It is a mistaken premise to expect modernization to be initiated from the top. A modern economy cannot develop in Russia without reforming its political institutions, such as the elections, the courts and the law enforcement agencies. Investors want the right kind of environment, better street traffic, and amendments to Russian legislation, not the construction of a new building. The Moscow government goes for flashy projects and believes that 20 new skyscrapers will bring in investors. This is a mistake. Despite the size of Russia’s economy, its banking system has not experienced a strong growth in quality. Moreover, Russia periodically faces severe banking crises, as in 1998, 2004, 2008, and 2010/11. Russia’s economy is plagued by three major problems: its poor investment climate, which includes ineffective institutions; weak competition; and the government’s excessive role in economic regulation. Unless these problems are resolved soon, we won’t be able to support even the current 4% growth, let alone modernize the economy.